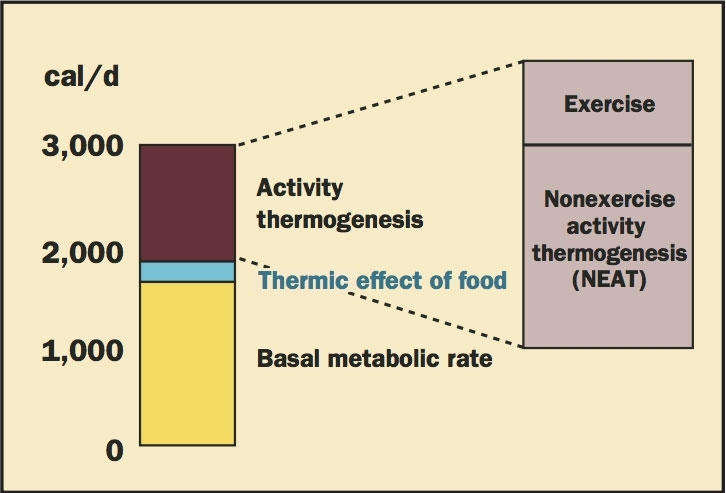 NEAT™ stands for Non-Exercise Activity Thermogenesis. All the small movements we make throughout the day that burn calories and slightly increase your heart rate—actions like typing, standing, and of course walking—are considered NEAT. In fact, any activity that raises your resting heart rate by more than 10% counts as NEAT, as long as it's less than a 50% increase (because, at that point, you're doing cardio exercise). Where did the term NEAT come from? From the research of Dr. James Levine, a Mayo Clinic physician and researcher who pioneered the treadmill desk and brought "sitting disease" into the public eye as a health epidemic. He identified NEAT levels of physical activity as key in preventing the symptoms of "sitting disease". 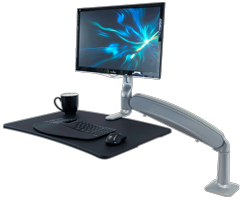 NEAT is the foundational benefit upon which iMovR’s suite of office fitness products is based. 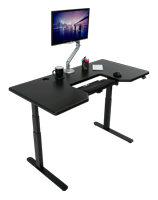 Now, with the advent of the official NEAT certification, customers can quickly discern which office products are proven enable NEAT—i.e., which products can help fight sitting disease. Simply look for the NEAT-certified logo accompanying any product. What is the science behind NEAT? NEAT activity promotes an overall metabolic increase, as well as increased energy expenditure, which leads to numerous health benefits. Among them is the lower risk of cardiovascular disease. You’ll burn some extra calories as well—but don’t be confused, as the primary benefit is a long-term reduction in disease, not weight loss. There's another critical benefit of NEAT (one particularly pertinent to office workers)—it’s likely to increase your daily productivity. By increasing blood circulation and your overall metabolic rate, you get more blood flow to the brain, burn more calories, and work more efficiently throughout the day. Studies have shown that walking, in particular, improves your ability to focus. Since our bodies were not designed to sit in a chair for eight hours a day, it's vital to get up and move regularly. In fact, Dr. James Levine's seminal book is titled "Get Up: Why Your Chair is Killing You and What You Can Do About It", an apt title, and also an excellent resource if you want to dig deeper into the science behind NEAT. Levine became a major proponent of the treadmill desk through his research into NEAT, and discusses the merits of treadmill desks further in his book. Walking at slow speeds is probably the quickest and most effective way to reach NEAT activity levels at work. Dr. James Levine paved the way with his research into NEAT and his subsequent invention of the treadmill desk. 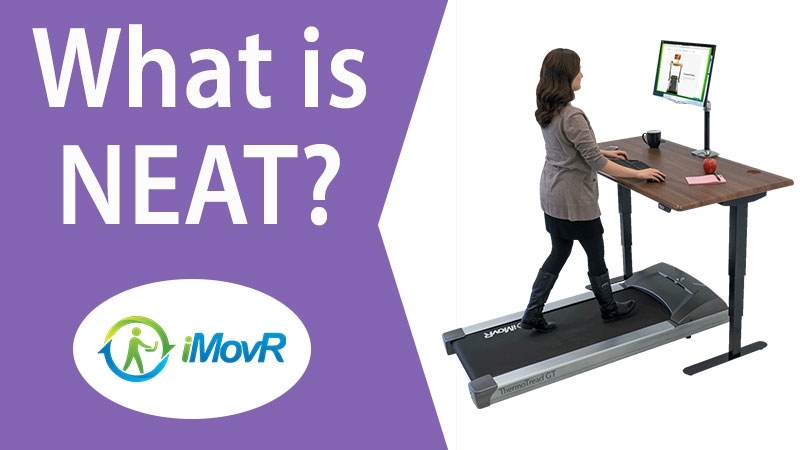 iMovR, as the manufacturer of the world’s first treadmill designed specifically for office use, is proud to lead the fitness revolution taking place in offices all over the world. We hope you’ll join us in creating workspaces that are both healthier and more productive! If you want to hear more about NEAT from Dr. James Levine himself, check out this video of a presentation he gave at the Transform 2010 Symposium. Curious how many calories you can burn from using a standing desk or a treadmill desk? Read our scientific report here. How does a product receive NEAT certification? Mayo Clinic’s NEAT certification program allows consumers to quickly and confidently determine which products have been proven to enable NEAT, meaning that they increase resting heart rate by at least 10% (and less than 50%). 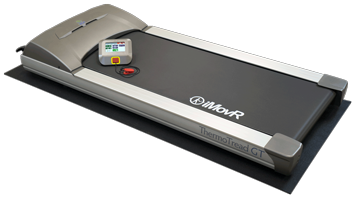 The NEAT certification process involves rigorous lab testing by the Mayo Clinic. 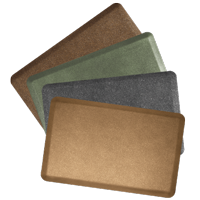 Users of NEAT products can rest assured that those products do in fact enable NEAT, while uncertified products may not have been proven to do so. Which iMovR Products are NEAT Certified? 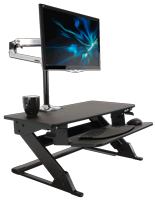 These products are certified to increase resting heart rate by more than 10% (Thermotread GT, standing desks), or to enable behavior which increases heart rate by more than 10% (standing mats).